Wool is a breathable fibre that has the unique ability to regulate your body temperature to keep you warm in winter and ensure you don’t feel hot or sweaty in summer. Wool is lightweight, ultra comfortable and suits all styles of sleepers which is fantastic for partners who have different sleeping temperatures. The Australian wool used in all of our products is sourced from the very best wool farms across Australia. 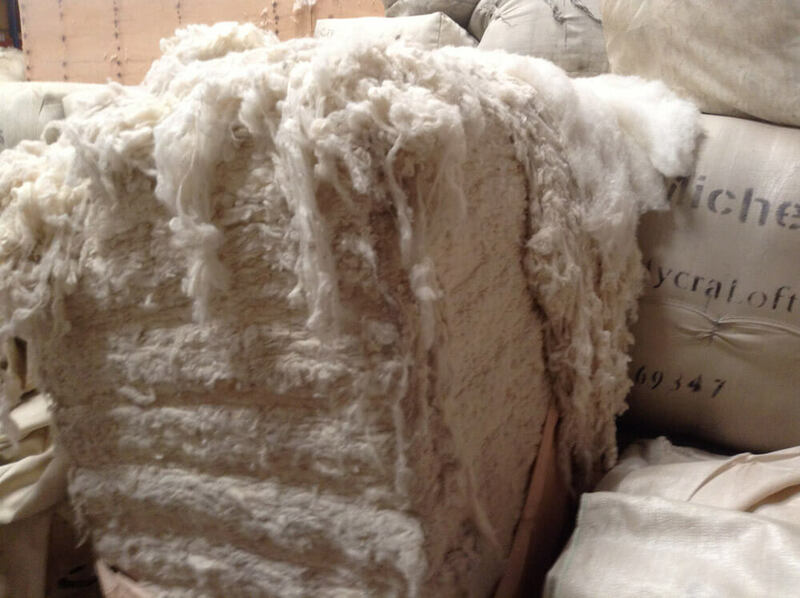 All of our wool is certified by the official industry body Woolmark, and every bale of wool that enters our Sydney factory undergoes rigorous quality testing. Halcyon Dreams completely controls the manufacturing process of all products from start to finish. You can rest assured that you are getting the highest quality Australian wool products available on the market. Wool is an eco-friendly, renewable, natural resource. All our woollen products have been specially treated with an all-natural spray that eliminates the food source that dust mites feed off. This ensures a healthy sleeping environment which is great for everyone and especially helpful for asthma and allergy sufferers. All of our Australian wool products are easy to care for. Wool does not attract dust like other fabrics such as feather and down. Simply air your woollen quilt or underlay to maintain loft and freshness. Machine washable and dry clean only options are available. Wool is the most flame resistant of all textile fibres. In the event of a fire it will smoulder and often self-extinguish. Healthy Sleeping Environment - doesn’t attract dust and the associated dust mites. A perfect solution for asthma and allergy sufferers. Buy Australian - support Aussie workers, Aussie farmers and the Australian economy.